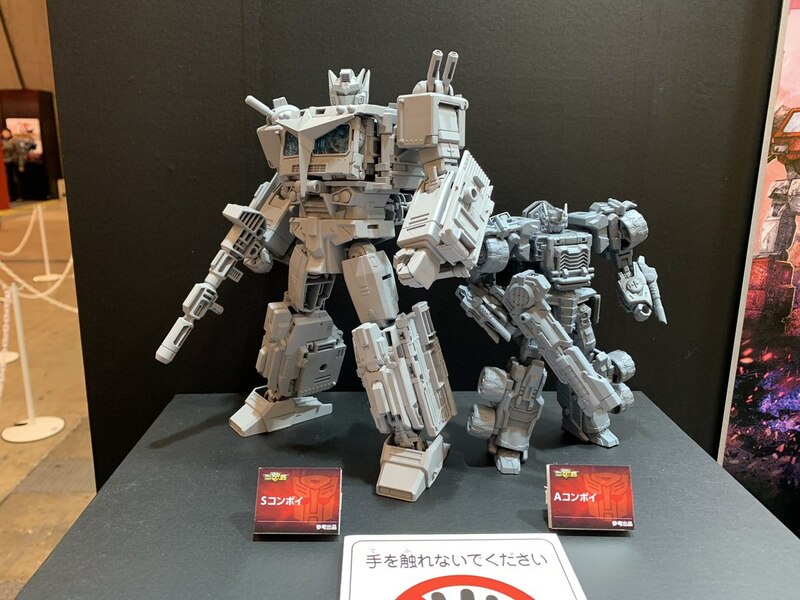 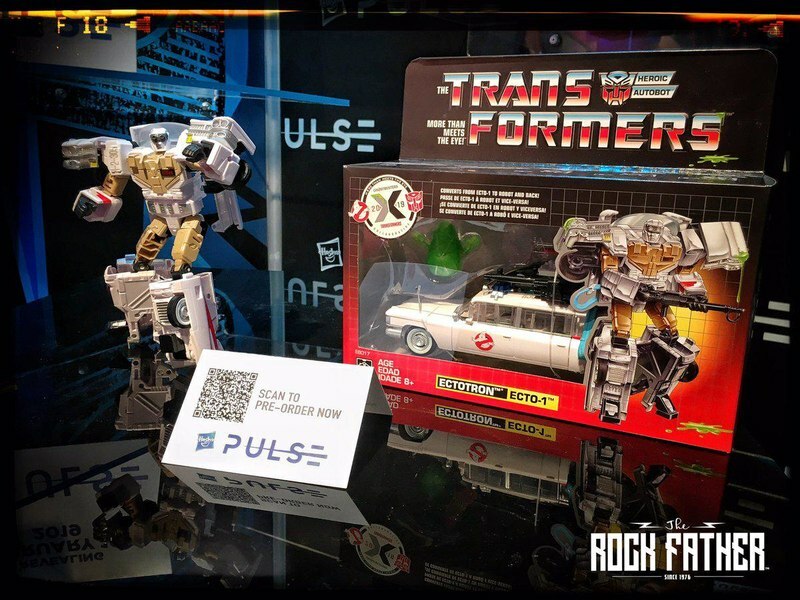 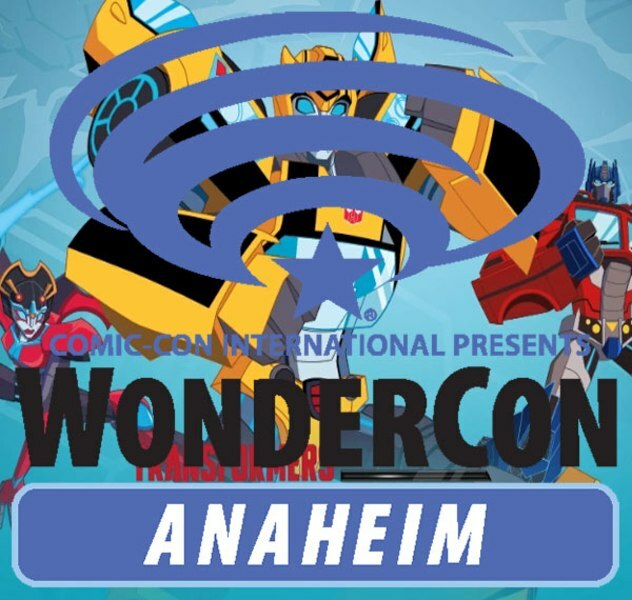 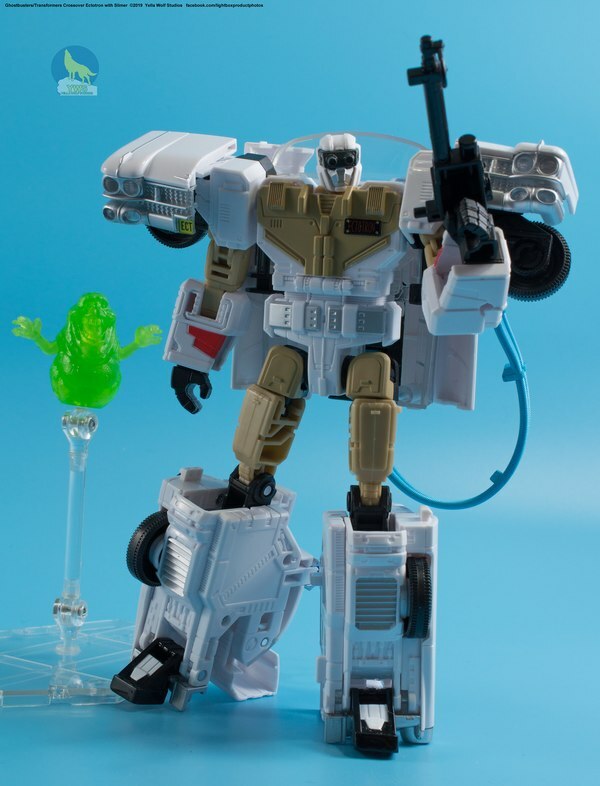 Thanks to @Chohenken on Twitter, we've finally got some good quality photos from the TakaraTomy Transformers space at Wonderfest. 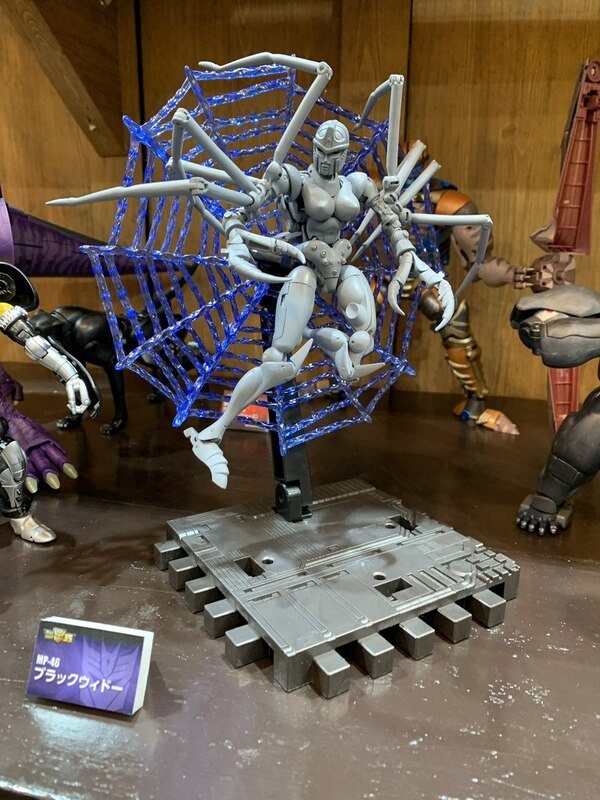 Along with a very clear view of Masterpiece Blackarachnia, we also have a very good look at the Star Convoy and Armada Optimus Prime pair, and it's showing an even more confusing wrinkle: They're separate toys. 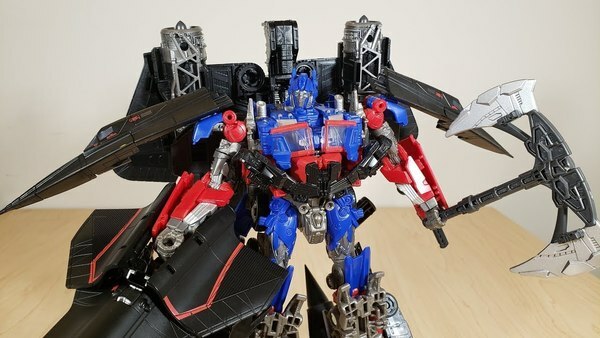 Both are labeled separately (as "S Convoy" and "A Convoy" respectively) and Armada Optimus bears no sign of ever having been POTP Orion Pax in a past life - nor is it clear what else it could be retooled from, leading to the belief that it may be a brand new toy. 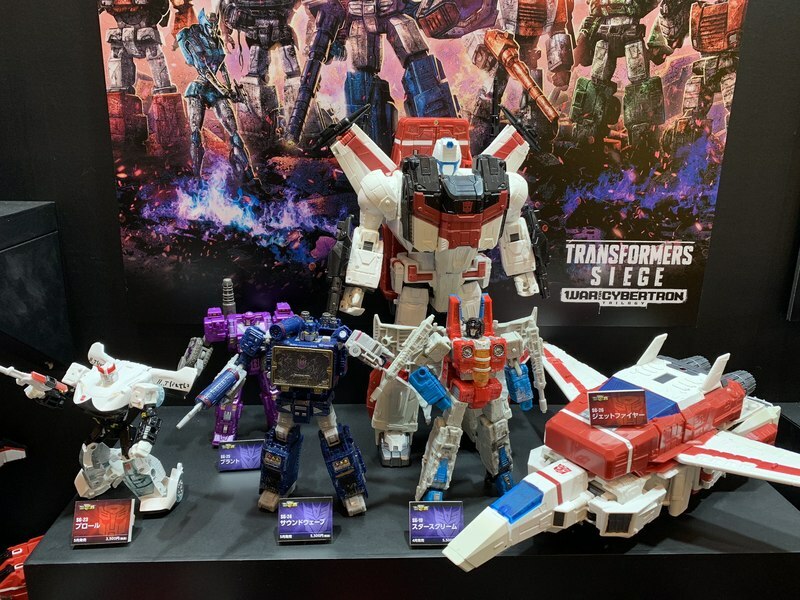 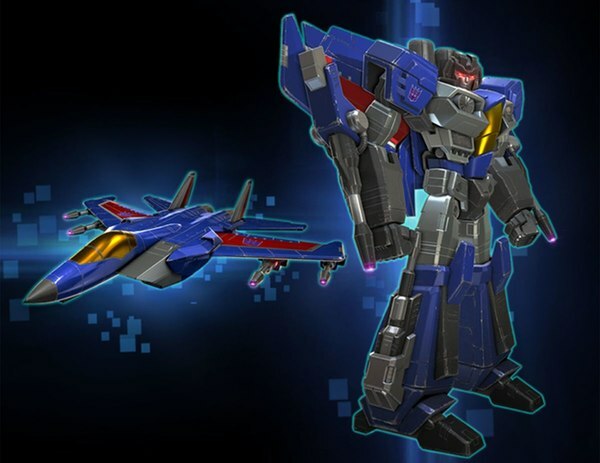 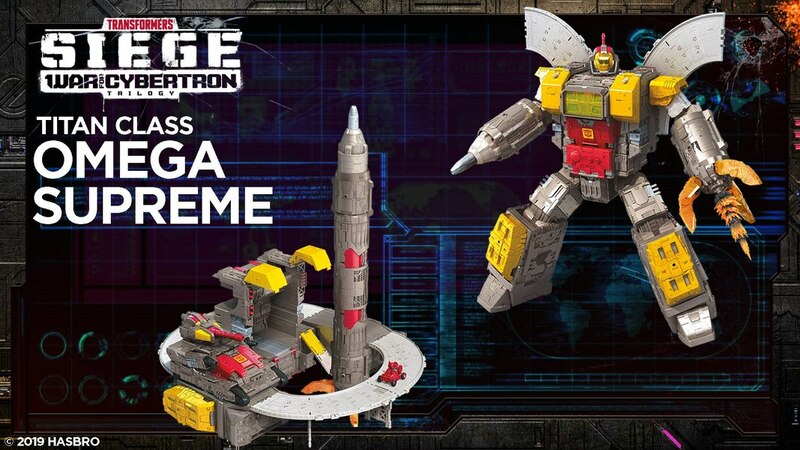 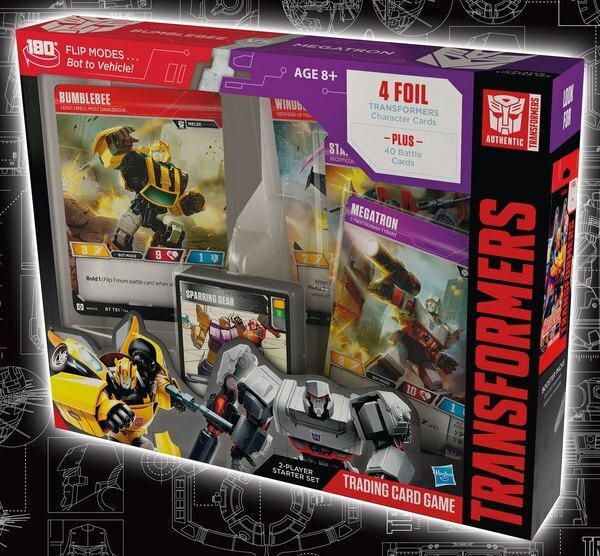 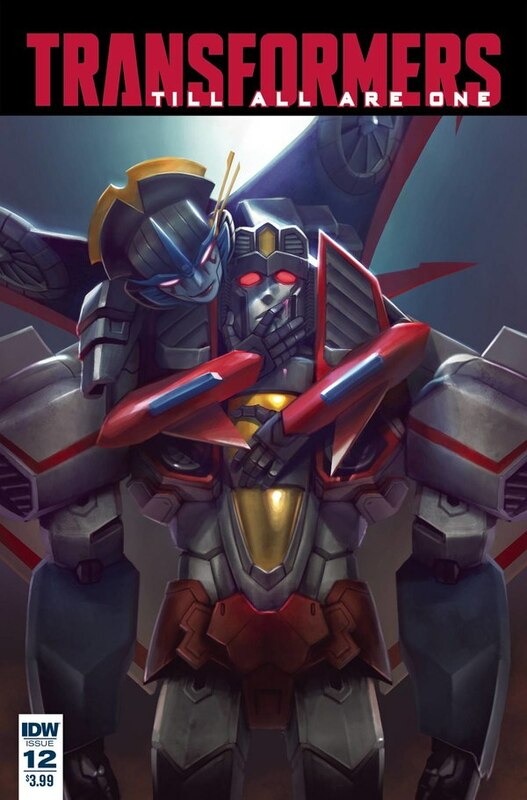 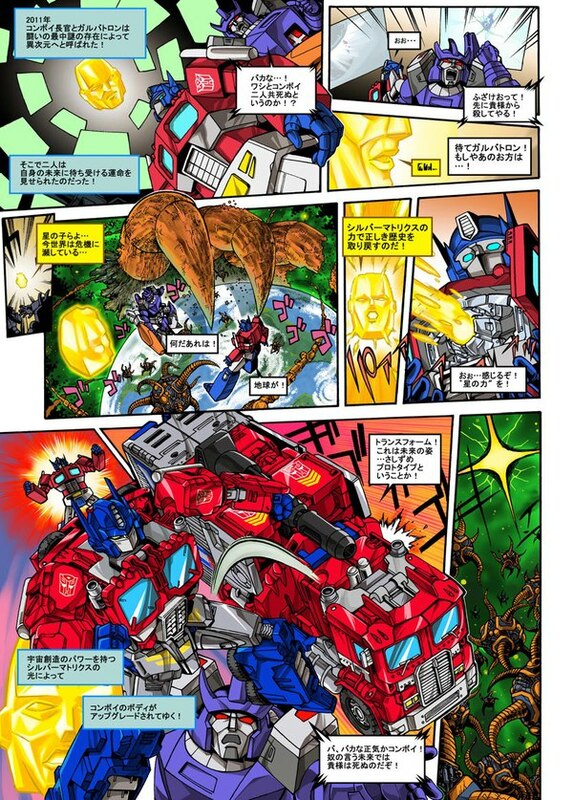 Also shown is a bit of Transformers Siege featuring Commander class Jetfire, plus Starscream, Soundwave, Brunt, and Prowl. 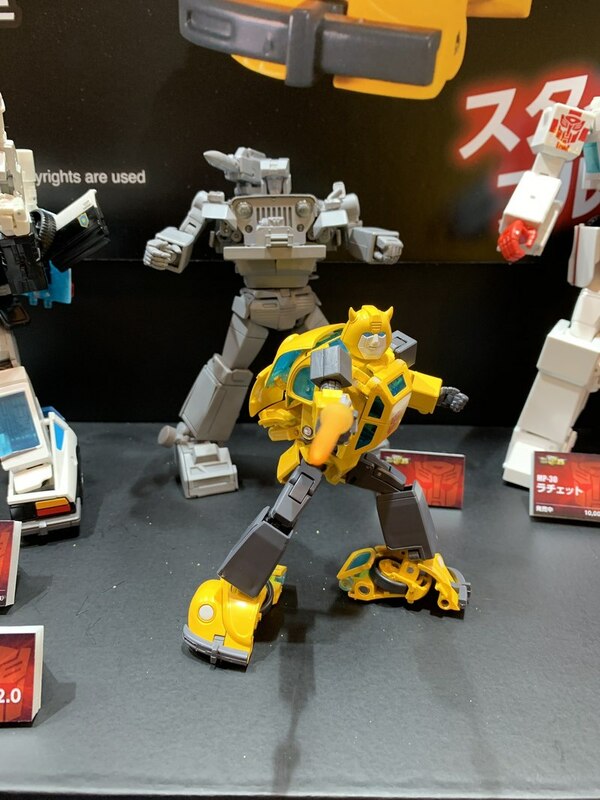 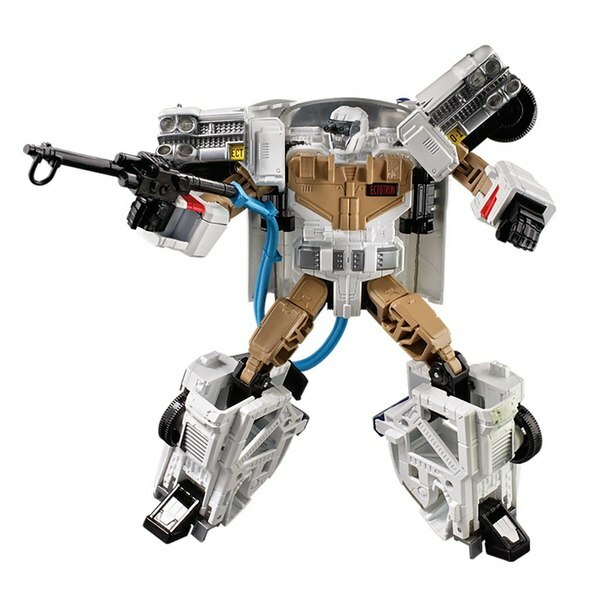 We also get a look at the display model of MP-45 Bumblebee, which begins to exhibit a hell of a backpack in service to that impossibly cartoony robot proportioning. 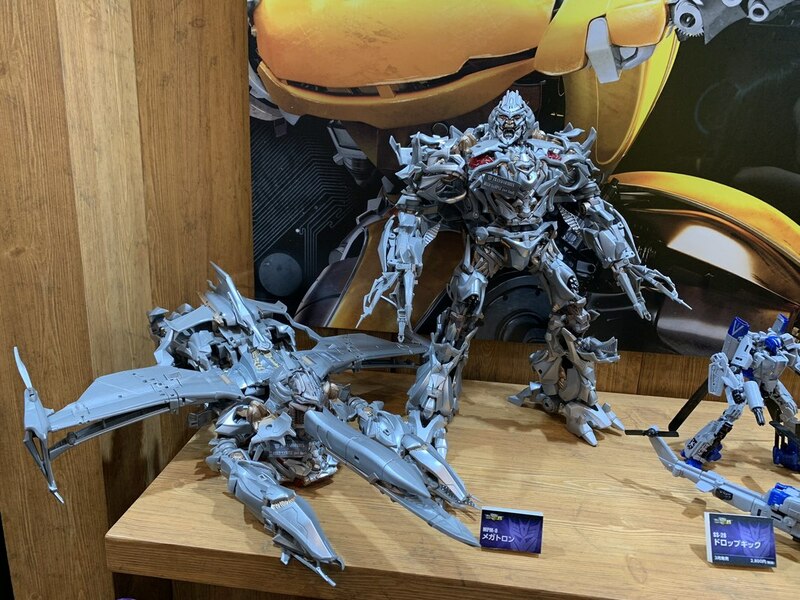 And of course MPM-8 Movie Masterpiece Megatron was there too.